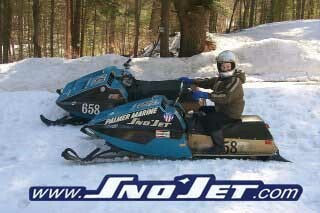 This sled is a TJ that Robert bought and rebuilt. His son is on the original, March 16, 2003. 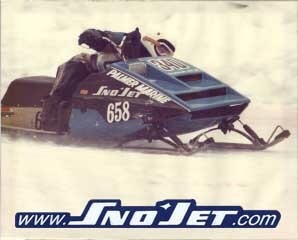 Here is Roberts original 74 TJ that he raced in 1975 A.R.C. Eastern races that dominated. The motor was finally rebuilt as well as a new cdi box this year. Feels great to pull the skis on it!